In addition to the risk of facing a federal investigation, healthcare providers who participate in Medicare and Medicaid are also at risk for being targeted in a Recovery Audit Contractor (RAC) audit. 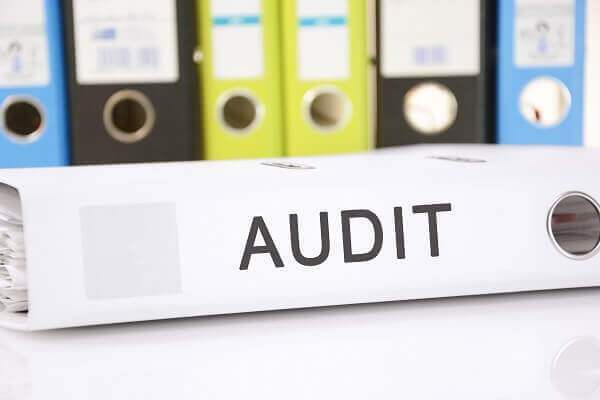 These audits can have severe consequences, and providers need to be proactive about protecting themselves before, during, and after the process. Originally launched as a demonstration in 2005 to satisfy the mandates of the Medicare Prescription Drug, Improvement, and Modernization Act of 2003, the Fee for Service (FFS) Recovery Audit Program is another tool in the government’s belt for combating Medicare and Medicaid fraud. Unfortunately, like the government’s other tools, the FFS Recovery Audit Program is often used against innocent providers. If you are a healthcare provider facing an RAC audit, it is critical that you seek experienced legal representation. RAC audits can result in substantial financial liability; and, while there is an appeals process, it is far better to end the audit without a finding of liability as opposed to disputing audit results with the Centers for Medicare and Medicaid Services (CMS). Continue reading to learn seven important pieces of information about RAC audits, then contact Oberheiden, P.C. for a free consultation. This last point cannot be emphasized enough. When you are the subject of an RAC audit, all of your Medicare and Medicaid receipts from the past three years are potentially on the table. While RAC audits are technically supposed to identify both overpaid and underpaid claims, when we discuss RAC compensation below you will learn why recovery audit contractors are much more aggressive in pursuing overpaid claims. To help protect taxpayers and future Medicare beneficiaries. However, RAC audits are much more than just a preventative measure. They can also lead to substantial financial liability for providers accused of submitting false or fraudulent claims by a recovery audit contractor. The RAC audit process begins with receipt of a demand letter. The letter will state that you have received an improper payment from Medicare or Medicaid, and it will state that you either need to pay a refund or else accept recoupment (which includes payment of interest). At this point, unless you agree with the letter’s conclusions, you will need to work with the recovery audit contractor in order to avoid the need to file a formal appeal. This could involve providing records that challenge the auditor’s findings, or taking other steps to prove that your billings have been legitimate. Healthcare providers can either challenge recovery audit contractors’ findings in their entirety, or – if called for under the circumstances – dispute only certain allegations of impropriety. It is important to understand that the original demand letter has consequences. While providers have the ability to work with recovery audit contractors (to a certain extent), once you receive a demand letter, you have to pay unless you can convince your RAC that you have not received any improper payments. In fact, if you do nothing in response to a demand letter, the government will recoup the claimed overpayments (with interest) automatically without your involvement. Under the FFS Recovery Audit Program, recovery audit contractors operate on a contingency-fee basis. This means that they get paid a percentage of any amounts they recover on behalf of Medicare or Medicaid. As a result, they are highly motivated to identify alleged overpayments, and with little oversight they also have little incentive to put equal effort into identifying underpayments. While this contingency-fee structure is ostensibly intended to further protect taxpayers and future beneficiaries by ensuring that CMS only pays for “successful” services, it ultimately results in pitting recovery audit contractors’ interests directly against those of Medicare and Medicaid providers. There are a number of measures, both proactive and reactive, that healthcare providers can take to minimize their exposure in the event of an RAC audit. Lack of focus on compliant billing practices and gaps in the process can lead to unintentional improper claims, and these need to be avoided as much as possible in order to reduce the risks of a “successful” RAC audit. Responding to recovery audit contractors appropriately is key as well, and providers should have systems in place that allow them to effectively and efficiently defend their Medicare and Medicaid reimbursement claims. Implementing billing systems and procedures with appropriate checks to avoid improper reimbursement claims, and updating them as necessary when Medicare and Medicaid rules change. Implementing systems designed to ensure timely responses to RAC audit requests. Communicating effectively during RAC audits, and ensuring that only designated employees with appropriate training have contact with recovery audit contractors. Monitoring claim denials and promptly addressing any issues leading to submission of improper claims. Seeking legal counsel regarding appropriate billing, risk mitigation, and audit response practices. As we noted above, when an RAC audit results in a finding of liability, healthcare providers have the right to file an appeal. However, the window for filing an appeal is limited, and there are strict rules and requirements that must be followed in order to appeal the outcome of an RAC audit successfully. Appealing the outcome of an RAC audit requires intimate familiarity with both the Medicare and Medicaid billing rules and the complex procedures involved in the appellate process. Having the right legal representation is critical, and there are only a limited number of law firms that have the experience and resources necessary to effectively argue RAC audit appeals. Oberheiden, P.C. is led by Dr. Nick Oberheiden, an experienced healthcare fraud defense lawyer who has successfully represented numerous clients in Medicare investigations. The other senior attorney in the firm’s healthcare practice group includes Lynette Byrd, a health care fraud defense attorney and former federal prosecutor who focuses on Medicare fraud investigations. If you have been contacted by a recovery audit contractor, or if you have received a demand letter in connection with an RAC audit, we encourage you to contact us promptly to discuss your case. You will work directly with our team of senior attorneys, and we will help you quickly take the necessary steps to limit your exposure to financial liability. For more information about the steps you can take to protect yourself during an RAC audit, or to discuss preparing for your RAC audit appeal, contact the Oberheiden, P.C.. To schedule a free and confidential consultation, call (888) 727-5159 or contact us online now.